petition: We demand CITES STOP:NO permits for more exports of ZIMBABWEelephants to China ! We demand CITES STOP:NO permits for more exports of ZIMBABWEelephants to China ! SEPERATING CALVES AND YOUNG ELEPHANTS FROM THEIR MOTHERS AND THEIR FAMILY IS A CRIME AGAINST NATURE! SAY NO TO CITES!!!!! NO MORE EXPORT PERMITS!!! Zimbabwe has evil plans to EXPORT more baby elephants to China or other countries! This is a crime against nature! The Zimbabwe government LIES about too high numbers of them, it is not scientifically been proven! It is greed for money! WHY DOES CITES NOT TAKE ITS RESPONSIBILITY IN THIS CASE: TO PROTECT FAMILIES OF ELEPHANTS! Elephants have roamed the savannahs of Africa for millions of years. They descend from a long line of ancient land mammals, making today’s elephants the remnants of a truly remarkable evolutionary radiation. Elephant populations comprise distinct components: Cow-calf herds are usually made up of an older matriarch, her daughters and their calves. Young bulls form bachelor groups while older bulls are often seen in solitary existence. These gentle giants are widely held to display more human-like traits than any other large mammal, and the elephant has long been acknowledged for its intelligence, STRONG FAMILY BONDS, and complex levels of consciousness and social cohesion. COHESION BETWEEN FAMILIES and extended families or clans is the very foundation of elephant life. Yet even though this phenomenal intelligence and social complexity is well understood, few species are as persecuted and EXPLOITED as the elephant. Removing a young elephant from its family group is appallingly TRAUMATIC for the calf, and is as traumatic for their family groups impacting greatly on their social set up. SCIENTIFIC RECOGNISION of this fact greatly informed the argument in halting elephant culling. However the CAPTURE AND REMOVAL OF LIVE YOUNG ELEPHANTS FROM FAMILY GROUPS PERSISTS! This is fuelled by economic GREED and a bogus, conservation rhetoric claiming over-populations amidst the lack of any scientific evidence. These dubious arguments have been the major defence by the Zimbabwe government in justifying their decision for the capture late last year of an unnamed number of elephant calves, and the export earlier this week of 24 elephant calves to a zoo in China. More than 10 000 people from all over the world have signed against the fact CITES organisation is still giving permits to export young elephants and calves from Africa to foreign countries as China or the USA! There are so many reasons this is wrong! Separating calves or young elephants from their families causes great damage to the whole family and causes traumas! Zoos should fade out with their elephant exhibitions! As Dame Daphne Sheldrick states: "What you see in a zoo is not an elephant, it is a tragedy!" Scientists have proved elephants are self conscious beings: sentient, intelligent and very social! WE SAY NO TO CITES!!!!! NO MORE EXPORT PERMITS!!! 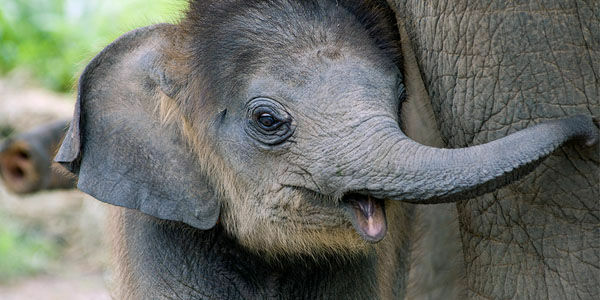 We demand a stop on giving permissions to export elephants or other threathened wildlife to zoos!